This course serves as refresher training for workers who have already taken WHMIS 2015/GHS training and is not a substitute for the full 2-hour WHMIS 2015 course. The Ontario WHMIS Regulation applies to all workplaces covered by the Occupational Health and Safety Act. Any employer or constructor who uses WHMIS controlled products is required to comply with the WHMIS Regulation regarding the requirements for labels, material safety data sheets and worker education and training. 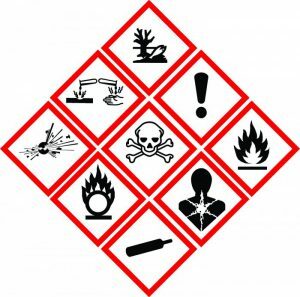 Ontario has amended the OHSA and the WHMIS Regulation to adopt new international standards that are part of the Globally Harmonized System of Classification and Labelling of Chemicals (GHS). There is a transitional period – until December 1, 2018 – to phase out old requirements. During the transition, both the old and new requirements are in effect. WHMIS 2015 REFRESHER ONLINE ASSESSMENT: Testing conducted throughout this online WHMIS 2015 Refresher course is designed to reinforce the information presented. A mark of 75% must be achieved in order to receive a certificate of completion. Participants are able to repeat the course two times if the pass mark is not achieved on the first attempt. Print materials for this course can be accessed online. WHMIS 2015 REFRESHER ONLINE CERTIFICATE OF COMPLETION: Upon successful completion of this online course, a certificate of completion will be available to download and print.